Meet the Natural Balance Pack! 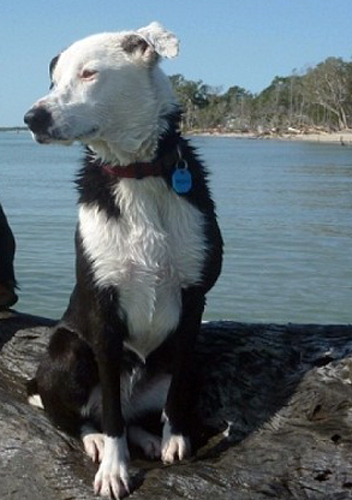 Lani's Story: Lani was rescued by Chris as a pup and has been by his side ever since. Lani is the top dog of the Natural Balance pack and is also famous for her exceptional "mother dog" tendencies. She helps other dogs with their issues; especially aggression and excitement by making them calm. 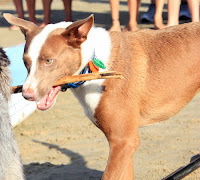 Lani is also a surf star and stole the show at last year's VetShopAustralia.com.au Surfing Dog Spectacular- Check out the footage here. Rumor has it that Lani is already in training for next year's event! Murf''s Story: Murf was also adopted by Chris when he was about 2. 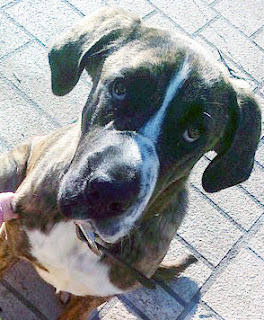 Murf was extremely dog aggressive and had even attacked dogs before he was trained by Chris. Remarkably, Murf is now known affectionately as Romeo because he is such a lover boy. He loves his doggie friends, and is always happy to make new ones. If he does not like a particular dogs energy, he just stays away. 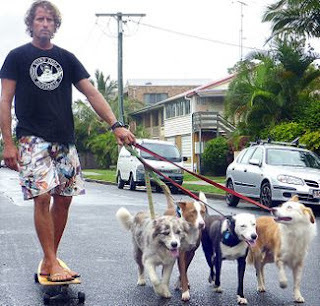 Murf is famous as the loverboy of the Natural Balance Pack and is also pretty clever on a surfboard himself! Rama's Story: Rama was adopted as a young pup by Chris and his partner, Claire. He is bright, funny, respectful and a little cheeky at times. We have heard that he often sneaks out of the Van during workshops at the exact moment Chris is talking about being the pack leader; there has been a sneaking suspicion he plans those moments to make Chris look funny- a true class clown! Rama loves the ball, playing with friends and climbing. He was also the youngest surf star at the 2012 surf spectacular and was chosen by Olympic Swimming Champion, Giann Rooney for the 'best ride' award, winning himself a trophy dog bowl! 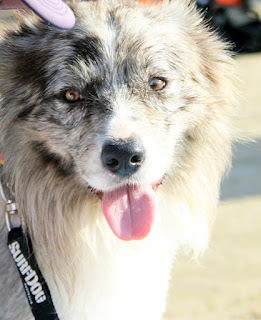 Marley's Story: Marley is the non live in member of the pack. Marley was extremely dog aggressive but has now turned over a new gentle leaf and continues to show improvement towards eliminating her aggressive trait. Marley is known for her big slobbery mouth, and her beautiful loving and gentle nature towards people, and in particular Children. Stay tuned for announcements of Chris and the pack coming to a town near you!